Looking for fun for the whole family? Enjoy a day of minor league baseball with New Jersey's two top teams! It's affordable fun the whole family will enjoy! PLUS Kids 12 and under EAT FREE at every game! It's more than baseball...check it out! 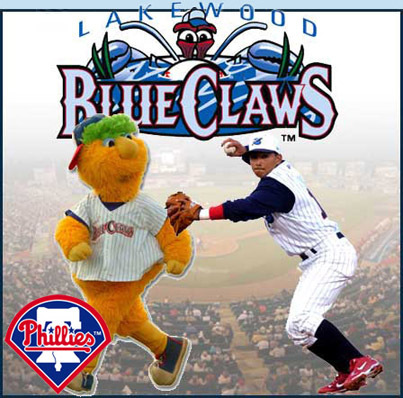 The Lakewood BlueClaws...Exciting Minor League Baseball at the Jersey Shore! This Single A Affiliate of the Philadelphia Phillies has drawn a record-breaking number of fans to FirstEnergy Park since it first opened in 2001. It's where baseball greats like Ryan Howard and Cole Hamels made their marks. 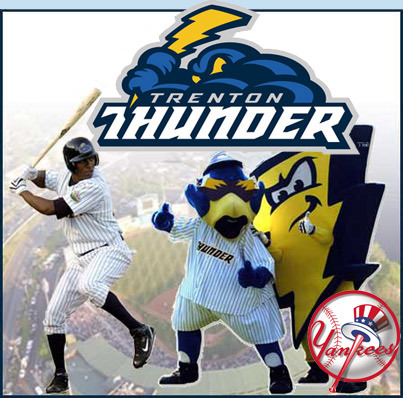 The Trenton Thunder...Top of its game for family fun in Mercer County, Central New Jersey and Bucks County, PA.
As the Double A Affiliate of the New York Yankees, you never know who you might see on the field! A safe and family-friendly atmosphere at Waterfront Park keeps fans coming back time and time again.